Disability claims are nearly two-thirds of all employees claims for benefits. Recent changes by the Trump Administration made over the strong objections of employers and insurance companies, along with a recent decision by the Ninth Circuit, substantially favor employees. These changes may encourage earlier settlement of these claims. New Trump Administration rules help employees. New Labor Department rules for disability claims give employees much more information — more ammunition — to challenge a claims denial. They also open more opportunities for a fresh court review of claims denial when before there usually was deference to the plan administrator’s decision. The rules affect claims filed after April 1, 2018. These rules were proposed by the Obama Administration and were carefully reviewed by the Trump Labor Department. Given the Trump Administration’s frequent animosity to Obama rules, it is somewhat surprising that the Obama-era regulations were adopted. The reason was to reduce litigation by promoting dialogue and settlement, as discussed below. Here are some examples of the tilt toward employees. Employees who claim disability benefits that are denied must be given all internal rules, guidelines and standards relied on in a claim denial even if they are proprietary or confidential. Also, the “views” (not just the formal “opinions”) of all the employee’s experts and the views of all other experts consulted by the administrator must be discussed in any denial of a disability claim. If the plan administrator fails to strictly comply with the new rules, then the Labor Department has strongly suggested that any court review of a disability claim denial should be under a de novo standard. In California, the rules are stricter – here claims for insured disability benefits always get de novo review. California residents always get de novo review for insured disability benefits claims. In California, de novo review always will occur for litigated insured disability benefit claims. This is the case even if the new Labor Department rules are precisely followed by the plan administrator and if the plan is well drafted to give decision discretion to the plan administrator. Courts cannot defer to an administrator’s denial of disability benefits for a California resident when the benefit is insured. Orzechowski v. Boeing Co. Non-Union Long-Term Disability Plan, 858 F.3d 686 (9th Cir. 2017). This case holds that federal ERISA preemption does not apply to these claims and instead Cal. Insurance Code section 10110.6(a) governs. That law prohibits deferral to an insurance company’s decision in disability benefits. Most long-term disability benefits are insured, so courts now will take a fresh look – de novo review – to see if these disability benefits are due to a California employee. Limits of de novo review. De novo review does not mean that plaintiffs have a fresh start in court. Usually, these cases are decided on the administrative record. The employee gets a fresh and unbiased judicial look at the facts, the insurance policy and the law. With de novo, the court makes its own decision based on the administrative record. New evidence can be admitted at the court’s discretion but this is unusual. Plaintiffs will applaud de novo review of disability benefit denials. Yet de novo may remove important tools for them. Under prior law governing disability claims, de novo review was available if the administrator had a serious conflict of interest, and plaintiffs could use this to seek discovery that was otherwise not available. Plaintiffs also might have moved for de novo review to educate the trial court about the case. Since de novo now is automatic, these actions may be moot and the opportunities that they gave to plaintiffs may be lost. Both the Trump Administration regulations and the Ninth Circuit decision support faster settlements. The new Labor Department rules were proposed by the Obama Administration; insurers and employers strenuously objected to many of them. Yet these are Trump Administration rules issued after Regulatory Reform. What happened? The Labor Department may think that these regulations will help settlement and are better both for employers and employees. They require a more robust record to support an administrator’s claim denial and they push for de novo review if the rules are not followed. The Department said that these rules would “promote the dialogue” between employees and claims administrators leading to less litigation. The Ninth’s required de novo rule may do the same. When all parties have thorough information, it is easier to settle. More information will make de novo review easier for the courts, as well. And the prospect of de novo might encourage plan administrators to view claims differently. This just may increase dialogue and faster settlement of claims, especially for California residents. 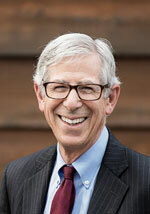 Bob Blum is a mediator in the Bay Area. You can reach him at (415) 815-8633 or BobBlumMediation.com. Next postThe Pension Plan Is Paid In 35 Years but The Lawyers Are Paid In 2 years – Is this Right?